It was always on the cards, but neverthless the sale of Will Grigg to Sunderland has sent shock waves across the Wigan Athletic faithful. Let’s take a look at how fans have reacted to recent events through the message boards and social media. Our thanks go to the Cockney Latic Forum, the Vital Wigan – Latics Speyk Forum, The Boulevard of Broken Dreams on Facebook and Twitter for providing the media for the posts below to happen. Thanks go to all whose contributions are identified below. Well the board have revealed themselves to have absolutely no ambition at all on staying up . Sold Vaughan and Grigg and replace him with Leon Clarke . And don’t tell me all about how Clarke was top scorer last season . Grant Holt was top scorer at Norwich. Looking at our recent signings and lack of ambition can’t help feeling we are doomed for another relegation. So sad to see what is becoming of our club. First post out of sheer anger we buy a 33 year old striker who has scored 3 goals in 24 appearances let Vaughn go sort of understand that but Grigg with one leg is better than Clarke……how can we score another goal ….with Windass, Garner & Clarke with our new front line sounds like from bad to worse…..not to mention Callum sitting on the bench every week because he’s not one of PC boys…..pathetic. I’ll still go to the DW simply because I’ve seen this all before. No one can deny it’s a damn good price and no one would have blinked an eye if this had of happened in the summer. The problem is, timing and unloading 2 out your 3 strikers and looking at our league position it just beggars belief. As for the Clarke signing and those who sing his praises? I hope he does. 21 club moves says it all for me. 1 swallow doesn’t make a summer. Cook suits the IEC and the Royles. And finally, the subject of Grigg can’t play no Massey Powell, he needs wide players ? We have them, They’re either out on loan or bench warmers. Some people are more bothered about teams below us in the hope that sh……r than us. That’s an excellent way to follow your side. First opportunity to try to understand IEC’s rationale for buying an English Championship football team. Not sure its any clearer. Clearly no intention of going for Premier League this time out. If not that then how does the financial model work? Given it seems as though the purchase was conditional on achieving Championship status, seems bizarre to risk straight demotion. But then again Joe Royle’s appointment either indicated IEC know more about English football than most everybody else or they are being badly advised. 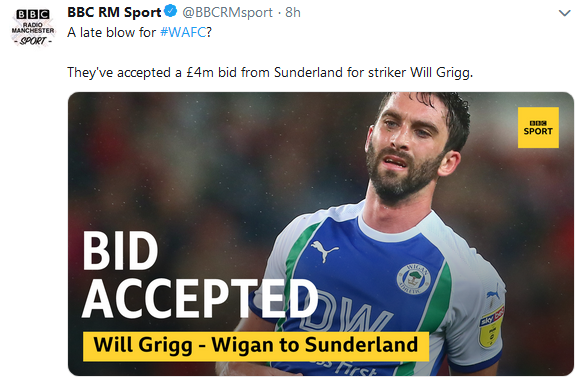 When I first heard that Wigan Athletic had finally accepted a Sunderland bid for Grigg, I literally got physically sick. Grigg will forever be a club LEGEND. 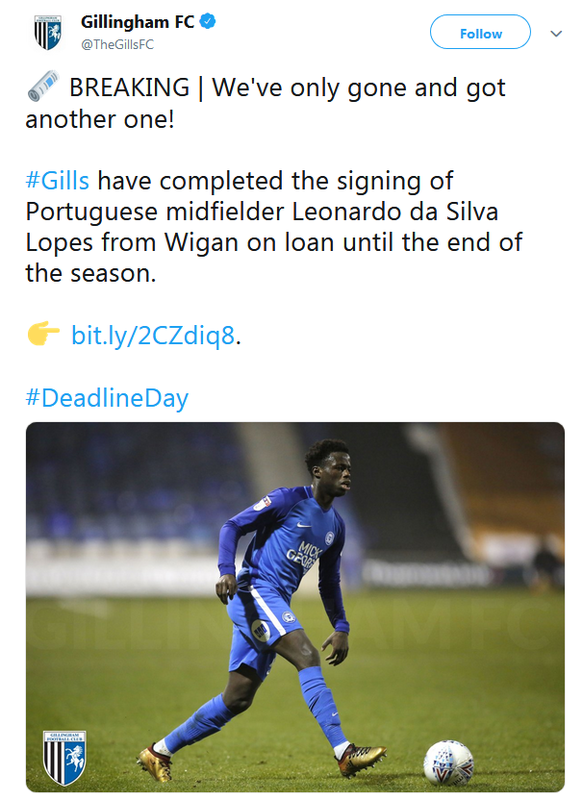 His goals got Wigan Athletic promoted out of League One TWICE, and likely would have gotten the club promoted AGAIN if they went down this season. I am not sure if Paul Cook fought hard to keep Grigg at the club yesterday, but his having benched Grigg because of injuries to OTHER PLAYERS (Powell, Massey, Jacobs), and then keeping him on the bench when lesser talents like Garner and Vaughan have consistently DRASTICALLY underperformed, certainly contributed to the ultimate decision to let Grigg go. The fact that the club cashed in on Grigg in literally the very last minutes of the window, and thus were not able to invest in what they recouped for Grigg, suggests this was a blatant cash grab by IEC. I think Cook has had an agenda against Grigg, and/or a complete misunderstanding of what it takes to score goals and win matches in the Championship. 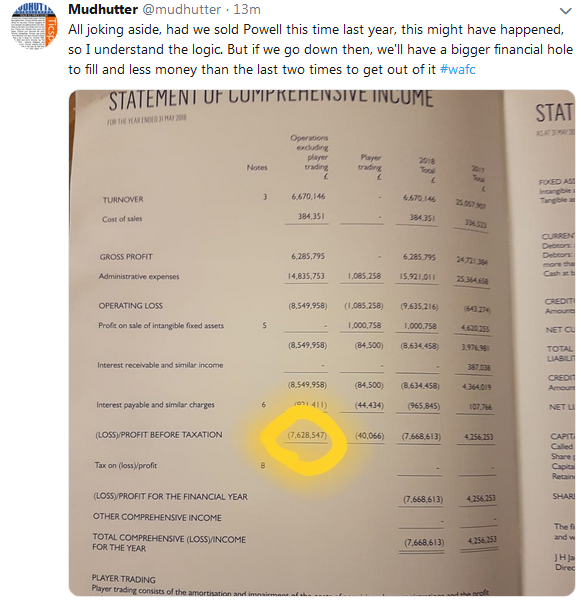 IEC, the Royles, and Cook all own HUGE shares in yesterday’s travesty, and at the scheduled upcoming fans’ forum they had better provide TRANSPARENCY, and a REAL plan for the future of this club!! !